About this time of year, our medical office waiting rooms switch from being filled with coughing sniffling kids with colds and influenza to coughing sniffling kids with allergies. 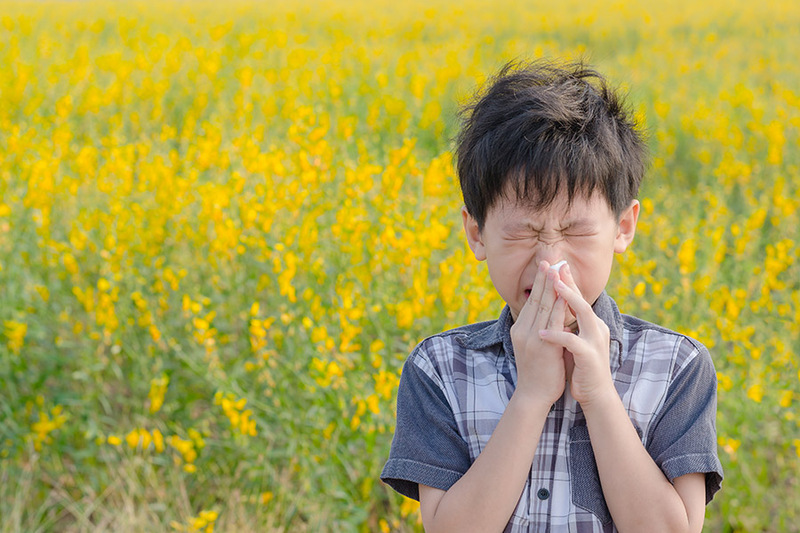 Springtime allergies or hay fever cause plenty of misery – let’s talk about how to help your family! People can have allergies in other seasons or even year-round, but many have the most trouble in spring. Spring allergies are caused by grass and tree pollens in the air. Many parents ask when seasonal allergies start in life – which isn’t until after age 2. And usually the symptoms are mild until about age 6 – then get a bit worse every year. We also get asked: “Is it a cold or allergies?” It can be hard to tell the difference sometimes. Primarily, itchiness is the key – if someone is coughing, sniffling – and itchy they have allergies. Also, despite the name hay fever, allergies don’t cause fever! Keep your windows and doors shut. Use a HEPA or allergy-grade filter in your vacuum and home ventilation system. Stay inside when the pollen counts are high or on windy days. Wash off pollen when you come in from outdoors. Try to shower or at least change clothes, and clean hands and face. Usually kids under age 4 don’t need allergy medicines – you should talk with your child’s pediatrician before using any. For older kids and adults, there are many good over-the-counter options to deal with allergy symptoms. Often, several kinds are needed at one time to get relief. For instance, you may need to give your child both a nasal spray and eye drops. Just work with your doctor to get the right treatment plan. And be sure to follow the age limits on the package. Here’s an overview of the available over-the-counter medicines. Nasal sprays. Several over-the-counter and prescription medications specifically target nasal allergy symptoms. Saline nose drops, mists, sprays, or rinses moisten the nose, reduce congestion, and flush out allergens. They contain plain salt water, without any medication. Children of all ages can use saline safely. Anti-inflammatory nasal sprays relieve nasal congestion, itching, and sneezing. They take a few days of use to start working fully and work best if used every day during allergy season to prevent symptoms. Antihistamines. Antihistamines (pills or liquids) help reduce all allergy symptoms. We recommend “non-sedating” (fexofenadine, loratadine, or cetirizine) forms. Eye lubricant drops (artificial tears), which can help remove the pollen, dust, or dander from the eyes and are safe for all ages. Daily preventive allergy eye drops. Over-the-counter Ketotifen is the best one to start with. Like nasal sprays, it can take a few days of use to have them work fully. Anti-itch drops, which can help calm symptoms temporarily. Avoid eye drops that are just redness removers. Prescription medicine. If symptoms aren’t controlled by these over-the-counter medicines, you can talk to your doctor about some prescription options. Uses their rescue inhaler more than twice a week. Wakes up from asthma more than twice a month. Has refilled their rescue inhaler more than twice in the last year. Your doctor may need to adjust their asthma medication. Here’s to having a happy, sneeze-free spring! Gesundheit!